The Management Committee cordially invites you to the Hackney Society's Annual General Meeting at Dalston C.L.R. 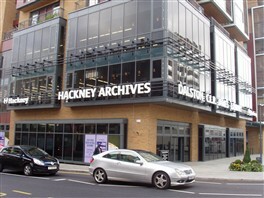 James Library and Hackney Archives in Dalston Square, E8. The meeting will follow the AGM of Friends of Hackney Archives at 6.30pm and will be followed by an opportunity to see round the new building before it opens to the public.